Title insurance is a very strange type of insurance, indeed! Title Insurance is, perhaps, the most murky and least understood area of insurance available to regular people. Title Insurance Coverage is the only insurance available that only covers events that already occurred. 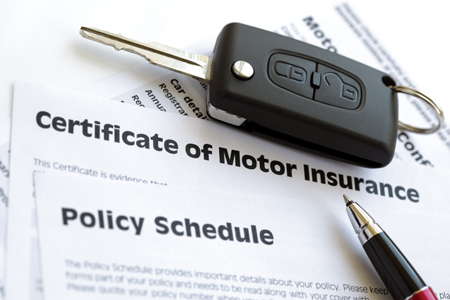 It does not cover anything that occurs in the future after you purchased the policy. Very strange, indeed. Imagine, if someone could get in a very serious car accident and purchase a two million dollar liability and underinsured motorist policy the next day and get paid from that policy as a result of the motor vehicle crash! An Owner’s title insurance policy, insures the purchaser of a Real Property against undiscovered liens or defects in the title to the land BEFORE the time of purchase in both Commercial and Residential Real Property. Title insurance is a one-time expense and everyone who purchases a property should get it! What type of title claims and losses are covered by Owner’s Title Insurance? The owner’s title insurance policy insures against loss or damages sustained by the owner by reason of historical discrepancies such as fraud, undisclosed but recorded prior mortgages, forgery, bankruptcies, liens or divorces, deeds not properly recorded, missing wills or heirs, and incorrect or wrong property descriptions. Title insurance would cover an insured if the clerk improperly recorded an unpaid mortgage on the wrong property or under the wrong name and you were not aware of a $400,000 mortgage on the house you just paid cash for. If the bank attempted a foreclosure as a result of this recorded mortgage you would be covered and the title insurance may be required to clean your title and pay the mortgage off! For example, title insurance would provide coverage if there was a deed in the chain of title which was obtained at gunpoint and by force. If the person comes forward years later, perhaps because they escaped a kidnapper, they could claim that the deed was void because it was obtained by force and that they still owned the property. This is despite the fact that you paid 600,000 for it and have lived there for several years with your family and children. If a court rules the other person was the rightful owner, then you would lose your entire investment without any compensation! That would be a bitter pill to swallow. Title insurance insures the record title and protects an owner of property from certain losses arising from defects occurring prior to the date of the title insurance policy. It is very different from other types of insurance such as motor vehicle Insurance or homeowner’s insurance because it is retrospective. It also differs from other types of insurance such as motorcycle insurance and renters insurance because there is only a single premium charge, but the protection lasts for as long as you own the real estate. There are different types of title insurance policies which protect both owners and lenders. Lender’s title insurance performs the same purpose. However, only a lender can legally obtain a lenders’ title policy. A Lender’s title policy is mandatory and a buyer is strongly advised to obtain an owner’s policy. A house is sometimes the most important investment a person will make in their lifetime. It is crucial that homeowner’s protect their investment and purchase title insurance. Dog Bite Law: Does Every Dog Get One Free Bite in RI & MA?